Birgit Pauli-Haack of Pauli Systems will walk you through the basics of SEO and how to make sure you ongoing postings are helping your site’s search engine visibility. She shows you are few tools you can use to test your own site, what to look for on Google Search Console, and how to submit your sidemaps. You see how to start using Yoast SEO plugin to improve your writing focus before you publish your next blog post or landing page. Charlie Rose of SEOMechanic, will then take it to the next level and talk about Local SEO and gives you tips and tricks of keyword search, ways = to find out what people are actually searching for. And how to gauge intent of your visitors. He’ll mention a few of mistakes to avoid. 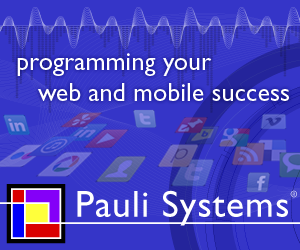 Birgit Pauli-Haack, founded of Pauli Systems a web development and strategy company in 2002 and with the team of developers, designers, copy writers and project managers, she helps business and organizations how to connect online with their customers and donors. Check out her full bio on the Pauli Systems’ website.